While our first love will always be personalizing weddings and highlighting our brides and grooms, there are a few other key players on the wedding day whom we also love to consider. Their role on the wedding day is so important, that we even give them code names! In honor of Mother’s Day coming up this weekend, today we focus on the most VIP members of your bridal party: the MOBs and MOGs! 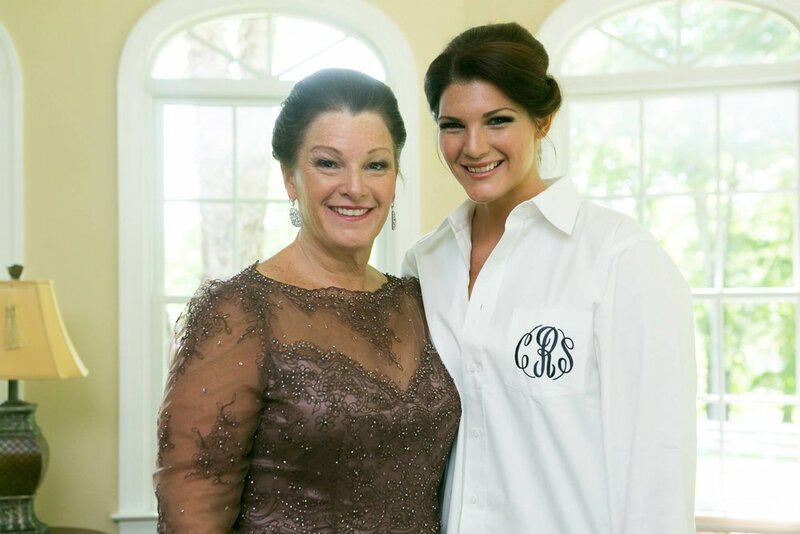 Invite your mom to be dressed and ready when it’s time to put on your gown (or tux/suit). 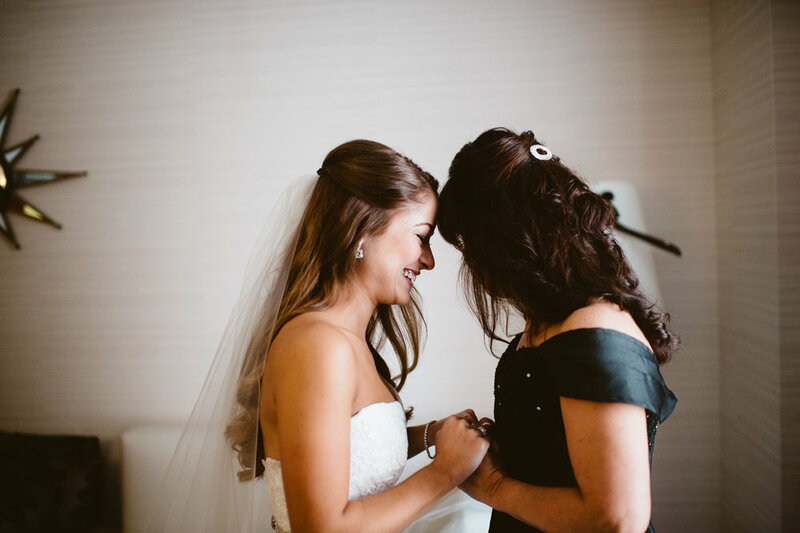 Those photos of her zipping up your gown and giving you a big squeeze once you’re ready to walk down the aisle (or walk out to your reveal) will inevitably be some of her favorites. Find out what type of florals she carried in her wedding bouquet. Wouldn’t she love to have a few of those blooms tucked in to her posy? 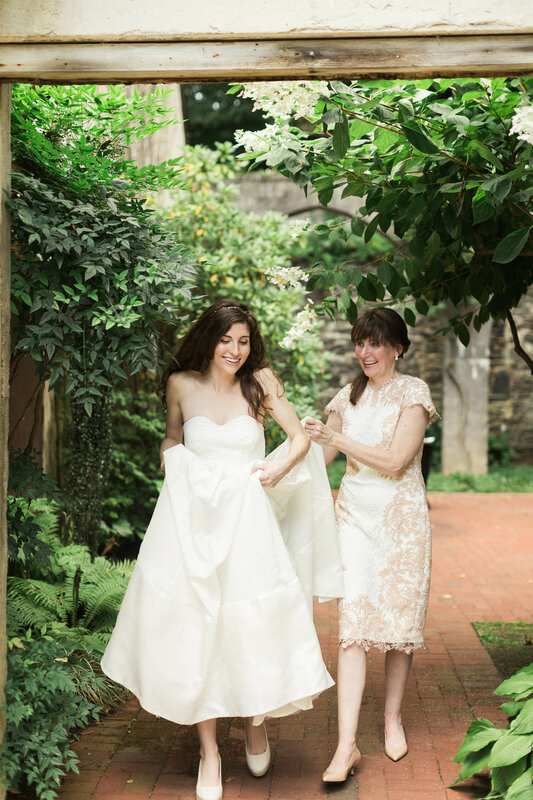 Use a piece of your mom’s wedding gown or veil as your something borrowed. Bonus: it doubles as your something old! Check out what our bride Sharon did with her mom’s wedding dress for her rehearsal dinner last year. So clever! 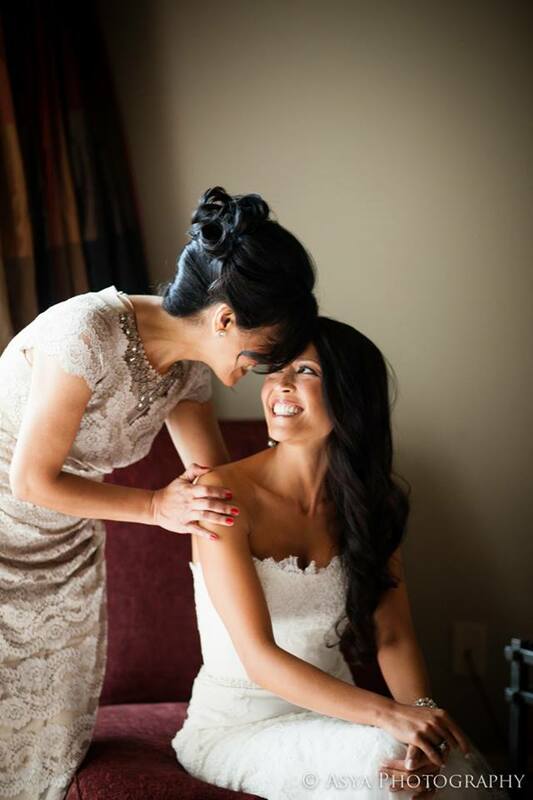 Always reserve the seat closest to the bride and groom on either side of the aisle for moms. This position gives them the very best view of the ceremony. The Truly You team also places ceremony programs in the front row before the start of all ceremonies. This is a thoughtful touch as most of the front row guests will be escorted down the aisle instead of walking in and being greeted by an usher distributing programs. For the Grooms out there (Do any Grooms read the blog? High five if so!) talk with your mom about your Mother/Son dance song. Does she have a special song in mind that would mean a lot to her? Or perhaps she would like to kick off the dance party with something upbeat? The important piece here is communicating and making sure that your mom feels included in the decision making process.